Dearest Min (MissRusty.net) gave this to me for my birthday this year! I screamed when I opened the parcel just so you know. Screamed like a little baby/sorority girl at a party. I was like OH MY GOODNESS THIS IS FINALLY MINE. I had heard so much about it!!! Now, I dislike using CC Cream on a daily basis, but I love having a faithful piece to turn to whenever I have events to attend or places to go. 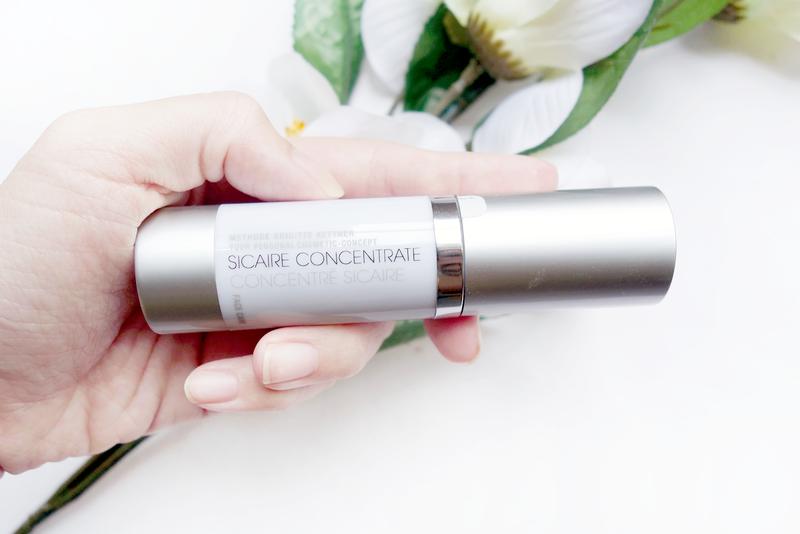 This not only hydrates my skin but also gives it that nice glow-from-within look thanks to the infusion of the Day Soft Aura White and Cellumination Aura Essence in the CC Cream. The best part is only needing a TEENY WEENY bit to really fill up the whole face. Don't pack this on because it is pretty dewy and can turn oily easily, especially in our weather. Just 1/3 - 1/2 a nail size is enough for your face to look amazing! P/S: I got a tip from makeup artist Larry Yeo to focus usage of CC/BB Creams in areas like the center of the face rather than the side; this way, even when we sweat, there is no horrid sweat trail. Also, in his words, "though you have makeup on, your skin still looks like skin." I've mentioned this sunscreen previously in a blog post (IDS #1) but I don't know why I never got down to listing it as a favorite. I've had this sunscreen for a good year (almost) to try out and I've never found anything as amazing. Not only does it provide SPF 50 protection and goes on for a matte finish.. it also has added Vitamin C in the concoction for great antioxidant benefits! Whenever I use this, it goes on so smoothly, absorbs so quickly into my skin and almost feels powdery even. The white cast it gives is minimal as well, which I really appreciate due to the nature of blogging/taking photos. I used this sunscreen on my Hainan trip and Phuket trip (Part 1 / Part 2) and.. *sigh of love* it's just so awesome. If there's one flaw I could pin to this.. I guess the smell isn't great when you sweat. There's a slight metallic stale smell.. but then again who smells great when they're perspiring? I've used a range of different sunscreens since this and despite liking some of them a lot, this one remains my number one. In case you'd like to know, I've used up TWO full bottles and I'm on to my third already. Yupp, if that doesn't tell you how much I love this, I don't know what would. P/S: Sometimes, for a little more moisture, I mix the IDS Sunscreen with Hada Labo's Air Aqua UV Day Emulsion. My cousins got this for me after I recently got interested in highlighting and contouring. I had seen quite a few reviews on this and my own cousin got hers before me - and loved it - so that's when my lust for it increased. I liked how it was an obvious shimmer that would soften over the day and how it could instantly create such a radiant look! 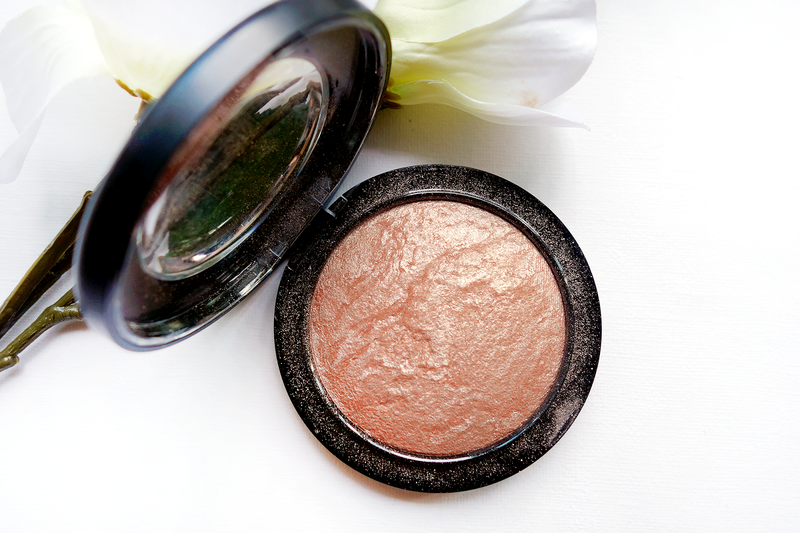 The bronzy shade is perfect for my slightly tan skin tone and it also buffs in beautifully to the cheekbones to produce this beautiful ethereal glow. This isn't difficult to apply though one should build up the color slowly since it can go on quite strong. I love to use this with the contouring shade (Radiant Light) in my Hourglass Ambient Lighting Palette because the two colors go together so well. I used to think that achieving that middle ground of looking made up with minimal makeup was impossible but looks like this pairing has gotten me there! I actually purchased this awhile ago... fell in love with it, then out of love, then back in again. In the beginning I really liked it because the shade Dim Light seemed to light up my whole face and looked really good. However, as time went by I didn't like that I could SEE the powder under some types of lighting. On top of that, I got annoyed that Radiant Light, for all its claims of contouring, wouldn't even appear on my skin. Months later.. I'm ashamed to say.. I found out I was using the wrong type of brush for these powders all along.. Whilst I no longer use Dim Light all over my face as a finishing powder like I used to.. I found that Radiant Light and Mac's Soft and Gentle would go great when I used the 13Rushes Ultimate Shader to blend them into my cheekbones. I would then proceed to use Incandescent Light on my nose bridge and lightly go over the cheek areas with Dim Light. Altogether, I think the look really goes great. However, I go all out with every shade only on dates with my boyfriend. For an everyday look I stick with the MAC + Radiant Light Combo. Since I got started on the highlighting/contouring game, I decided I needed a good brush. I'd heard a lot about the Ultimate Shader since it was launched and this seemed like a time as good as any to purchase it. It's not only reasonably priced, but I've also had the luxury of using a few others before (post HERE) and I know that it has quality! Plus, I've washed my 13Rushes brushes many times before and they've NEVER shed. This shader is, well, as it's name goes.. the ultimate. 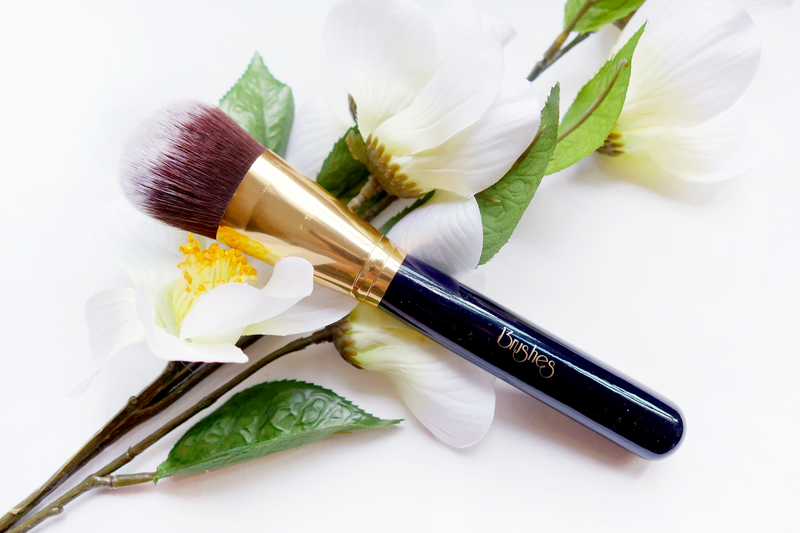 The brush is soft, densely packed and so beautifully shaped. I can easily use the "sharp" side for highlighting smaller areas and sweep the broader side it across my cheek contours for darker shades/darker blushers! It picks up color easily and spreads it like a dream. I no longer have to constantly swirl my brushes into blushers or highlighers or contours for a good pigment when I have this brush. I got this at a very very recent "Make Up On The Go" event held by The Face Shop! 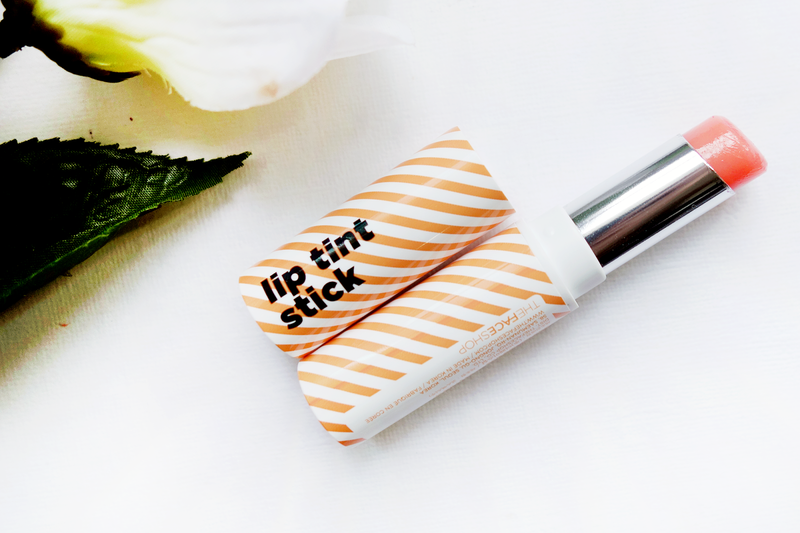 They were extremely generous and gifted us with a whole range of makeup to complete a look but this lip tint stick was what got my attention right away. It resembles Dior's Lip Glow slightly but the payoff is quite different. This one does provide color on the lips.. but perhaps only at about 20% - 30%? Larry Yeo was the makeup artist at the event and he recommended it to be used as a pre-lipstick lipbalm that could get a decent tint on the lips with adequate hydration. Thereafter, any lipstick used on top will still have a good base, so that there would still be good color below even if the lipstick feathered/faded away. I guess in that case it could be considered a hydrating colored primer? Hmmm. Since I have had lip embroidery done, this lip tint stick is fine on its own for me. I love the peachy smell, the moisture it provides my lips and the right amount of peach in it to make my lips look healthy without the obvious pink tinge! Very pretty! I can picture using this with bronzy makeup for a sunkissed look. 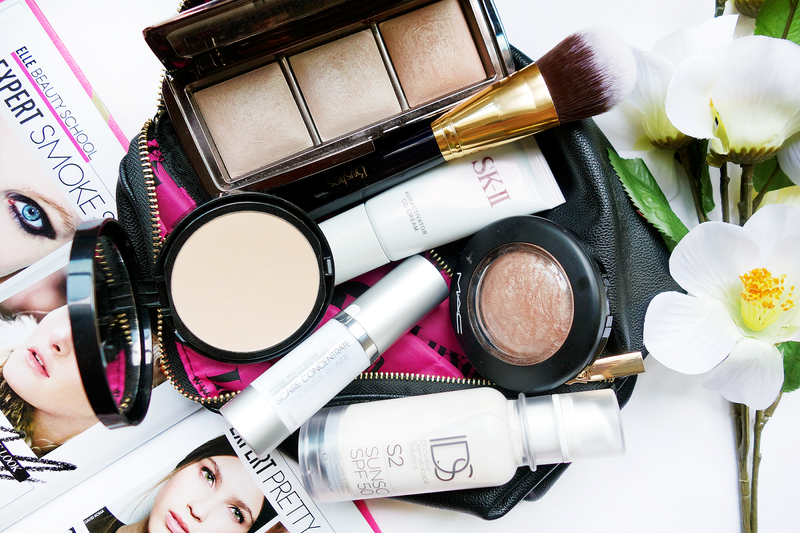 Listen up girls with dry/sensitive skin who have been struggling to find their holy grail of compact powders. BareMinerals has answered your prayer with the BARESKIN Perfecting Veil! 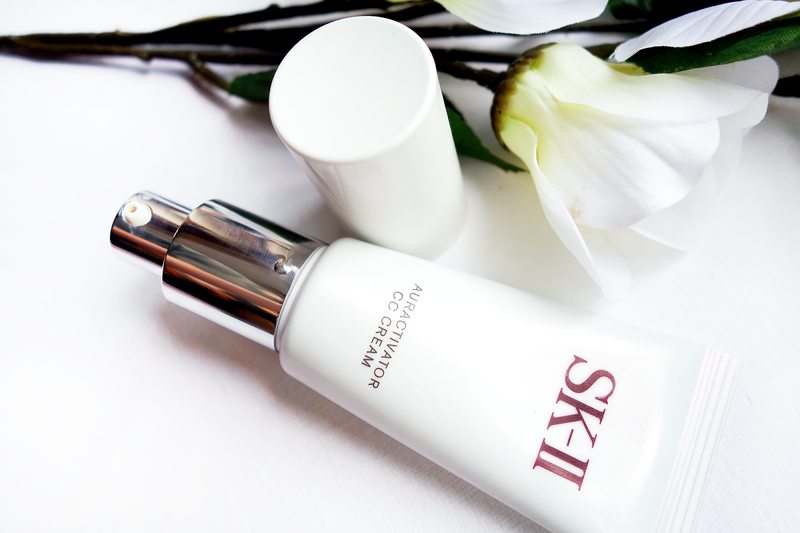 With powder that is infinitely fine, great for allergy-prone skin and with great oil-control properties, this is one to keep for life. Though this comes with a puff for easy touch ups, I find it sufficient to apply once in the morning with my 13Rushes' Round Powder Brush. I swirl around the pan once each time I want to apply to an area of my face. So in total I go around 3 - 4 times for more coverage to last through the day. If you plan to take this on the go, then perhaps just a light sweep around the face before leaving the house is sufficient and thereafter another application can be done after lunch/in the evening. I've never once had a reaction to this powder and it keeps me looking really fresh as well! I am able to reach home after a 10 hour work day and find my skin with only a light layer of oil when I used to previously shine up by 2-3 hours. A great purchase for a reasonable price, and with enough product to last ages! 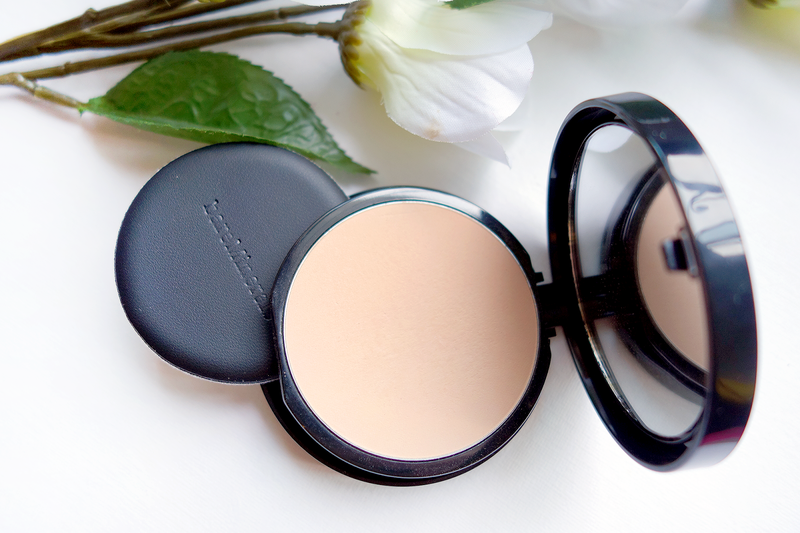 P/S: This powder is good at oil control over a day spent in the office (in air conditioning). 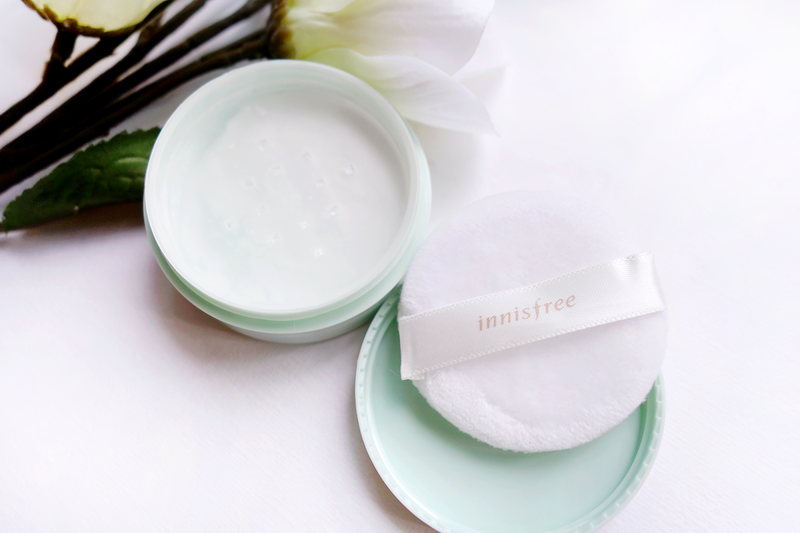 For powder that really controls oil even in the humidity outdoors, then read about Innisfree's powder below. This was actually purchased in Korea by my friend so I'm not too sure how much it costs here! It's only $7 there but I think it doesn't differ that much in Singapore... I must mention that I was initially a little unwilling to use this. For someone who's had reactions to all kinds of expensive powders in her life... a $7 one seemed extremely daunting. Okay, believe me when I say I've saved the best 2 (including the one below) for last. Because, and I don't mean to sound dramatic, this is a total lifesaver. I was actually given this as part of a sponsorship/advertorial deal for another social media so this blog mention is TOTALLY not paid for or required of me. Hence, I tell you, please believe me when I say this is totally game-changing! I haven't had to care this little about my dry skin and huge open pores snce I got this godsend. Whilst most aloe vera gels give me that feeling that they're made up of 30% alcohol (is it just me or do some of them just evaporate on the skin with zero effect? ), this one is completely different. It's a transparent, very very thick in viscosity and requires quite a bit of patting before it sets in. But OH when it does set in... say hello to matte, smooth, hydrated skin. 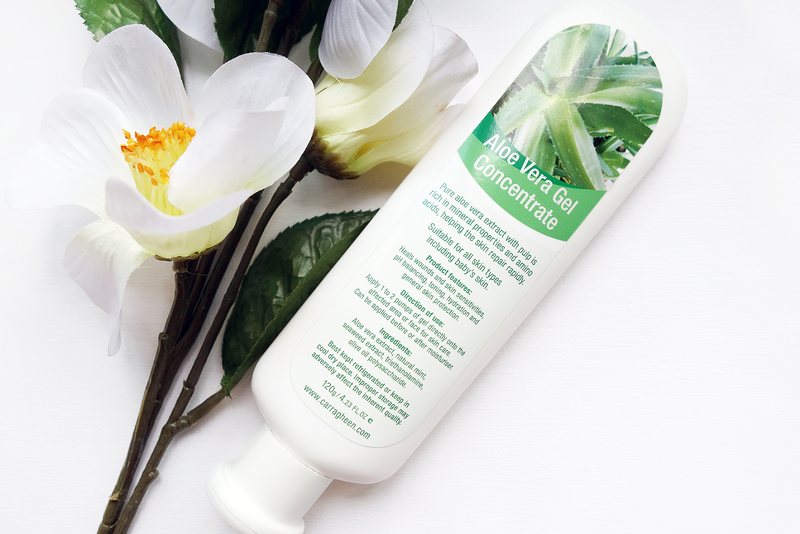 This isn't so much a moisturizer as a protective film over your skincare - meaning you apply it over your final skincare step for better protection against dirt and dust! I don't know how to explain this but my skin used to constantly look thin/dry/shiny/papery; now, it looks healthy, smooth, and so very even! I love this to pieces and I'm sure you would too if you gave it a try. This, along with the Aloe Vera Gel Concentrate, was given to me as part of a skincare regimen; it claims to soothe sensitive skin and help it desensitize over time. As a sufferer of sensitive skin for so long I was naturally doubtful. But now.. a month later and it turns out (especially in this disgusting haze) that this has really lessened the number of "mosquito bite" allergies I've gotten by 99%! Do you know what kind of "mosquito bite" allergies I'm referring to? People with dry/sensitive skin should. They appear out of nowhere, look exactly like mosquito bites, are EXTREMELY itchy and turn into spots/pimples later. I especially hated those when they happened before a date or event!!!!! Eventually, those spots occurred so often that I would get them EVERY morning before work - I was going insane. However, this concentrate has lessened that occurrence to once a week, sometimes even once in two weeks. I. AM. SAVED. And so happy can I add!? If you suffer from the same issues as me and your sensitive skin is driving you up the wall, please let this help you.